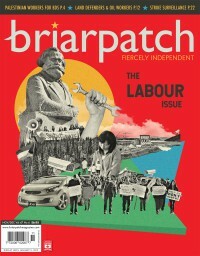 Briarpatch Magazine is published six times a year and reaches a loyal, engaged audience. Since 1973, readers have relied on Briarpatch as a trusted source of accurate, astute, and truly independent editorial content to inform their decisions and provide them with the tools to take action. 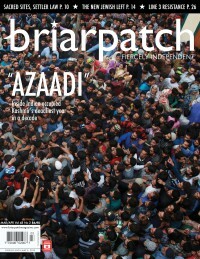 Briarpatch is not just a magazine. We’re building communities — online and in print — of educated, erudite, and influential agents of social change. How can you advertise? In print, we offer ad sizes and placements for all budgets. Discounts apply to multi-issue bookings. Online, we offer many levels of engagement from a single button ad to multiple sizes and placements across all pages. These, plus a dedicated newsletter readership and social media that punches above its weight, make up a multi-platform forum to reach a targeted and eager audience. We invite you to peruse our media kit for rates, dates, and more. 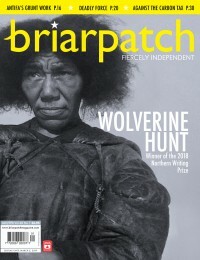 To book your campaign or learn more, please contact David Gray-Donald by phone at 1-866-431-5777 or by email at publisher at briarpatchmagazine dot com.